ArdiGK- Siung Beach is located in Wates , Purwodadi Village, Tepus Subdistrict, Gunungkidul, Daerah Istimewa Yogyakarta. Since there is no public transportation that serves the route to the beach, tourists should bring a personal vehicle or rent a car/motorcycle. From Yogyakarta this beach can be reached about 2 - 2.5 hours drive. This beach when ArdiGk was a little is less popular, but over time Siung beach has now become a highly tourism destination. At that time some community of nature lovers began to glance at the cliffs of Siung and try to conquer it. This beach was opened as an official climbing area in 2000, marked by the opening of climbing path "Welcome to Siung". Once opened officially, Siung was slowly becoming known among nature lovers. this are the photo of me when climbing there. This Route well known as Pacaran route, Pacaran in english means Having a date with a girlfriend/boyfriend. I don' know why they call this route with that name. This route is not long only four anchor, but it's very high because bellow this route is a cliff. nice isn't it? The popularity of cloves for the climber is also widespread to the international community because it was once used as the location of Asian Climbing Gathering, also proved when ArdiGk has a fellow climber from Norway, Switzerland and Australia who happened to know on facebook and continue meet up in yogyakarta and asked to be escorted to shore siung . 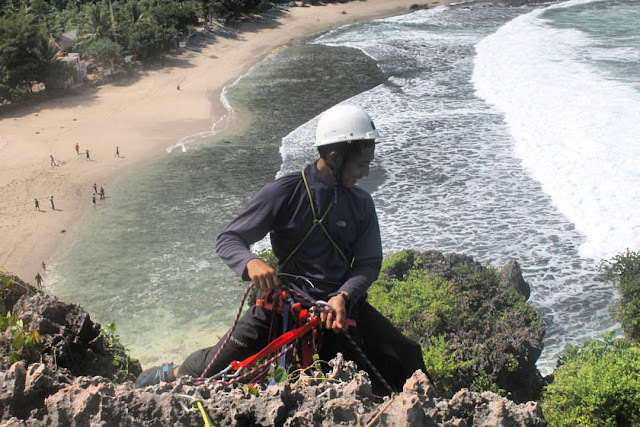 ArdiGk since joining the organization MAPALA PALAFNE DEB SV UGM (Mapala is Student's Organization that love nature, hiking, mountainnering, and all adventure activity) more frequent visit this beach in addition to close to the house at once used almost every weekend to climb here. this place is very good and suitable for various circles, both adventurous, climber, tourist and others. Starting from the beach, cliffs, and restaurants are available here. Here Another Picture of me when climb here. Me when doing artificial climbing. Good Scenery isn't it? 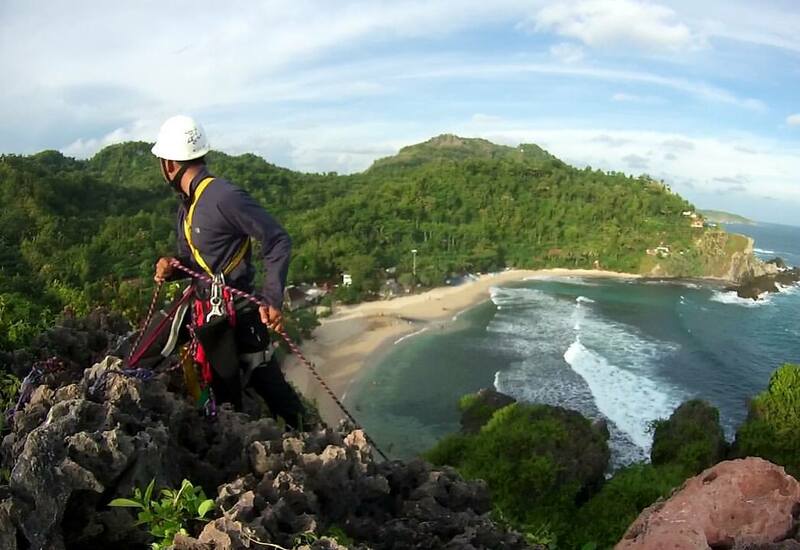 Belum ada Komentar untuk "Indonesian Paradise for Rock Climber and Adventurer"